The new Colours by Kohler campaign exhibits some of Kohler’s premium products that help add a little personality and vibrant colours to your bath space. With a combination of Vibrant Faucet Finishes and Ceramic products in new colours such as Almond, Cashmere and Black your bathspaces could become a true expression of your individuality. With this exquisite range of colours and finishes infusing new character to bathspaces, Bathrooms will never have to be just white, chrome or boring again ! 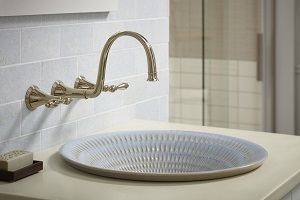 Just as your faucet is an important design element in your bathroom, so is its finish. 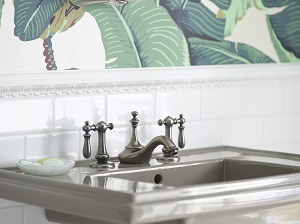 Faucet finishes can fundamentally change the look and feel of any room. 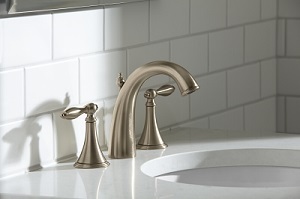 Whether you are looking for a faucet finish thats more modern like Vibrant Brushed Nickel, transitional like Vibrant Brushed Bronze, there are a variety of faucet finishes to help you express your style. Functional works of art, Artist Editions® decorative products go beyond beautiful design. Handcrafted from the finest materials to be one of a kind, these products are as individual as you are. For the homeowner with an artistic sensibility, decorative products let you create a space that is truly your own.